Myambutol is an antibiotic used to treat tuberculosis. It is active only against actively propagating cells of Mycobacterium tuberculosis. Myambutol inhibits synthesis of bacterial RNA, affects cell metabolism, stops reproduction and death of bacteria. 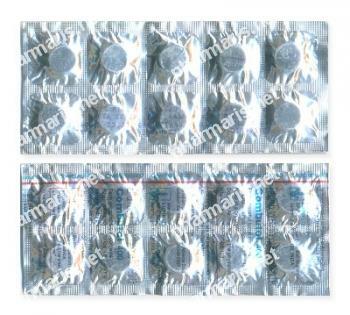 Myambutol can be used against mycobacteria resistant to streptomycin, isoniazid, ethionamide, kanamycin. Follow all recommendations of your doctor about this medication. Do not start or stop it without your doctor's permission. To prevent stomach upset take with a meal or milk. Kidney failure requires correction of the dose. Myambutol unless combined with one or more other tuberculosis medicines may cause fast growth of resistant bacterial strains. This medicine is contraindicated in patients with hypersensitivity to it, individuals with optic neuritis, cataract, diabetic retinopathy, inflammatory diseases of eyes, gout, in children under 13 years of age, in pregnant and breastfeeding women, patients with chronic kidney failure. The first most common reactions of organism to Myambutol are stomach upset, dizziness, fatigue, and headache. These symptoms should disappear when the body accustoms to the medication. In case of worsening of the symptoms notify your doctor immediately. If any signs of allergy develop notify your doctor promptly: rash, swelling, numbness or tingling of the hands or feet. Any vision changes, inability to distinguish green and red colors, sudden color blindness, blurred vision require urgent doctor's attention. To avoid permanent and even fatal liver disease tell your doctor immediately about persistent or severe nausea, vomiting, stomach/abdominal pain, dark urine, jaundice. Myambutol increases effects of anti-tuberculosis medications, neurotoxicity of cyprofloxin, carbamazepine, asparaginase, amynoglycosides, Li+ salts, imipenem, metotrexat, quinine. Symptoms of overdose are unknown. If you suppose that too much of Myambutol was taken seek immediate medical attention.